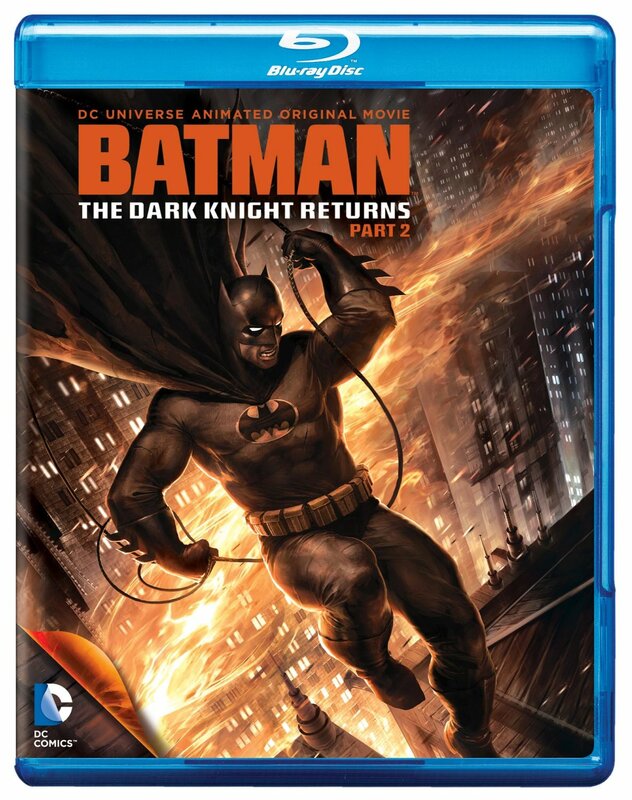 Remember a few months ago when I posted how “Batman: The Dark Knight Returns” was being released on DVD and Blu-ray at long last and had been done so in two separate chapters? I hope so because it was great to find this time honored Batman story being given the animated feature treatment. If any film needed to be made it was this one. So my reason for this post is to say how happy I am to inform you that now there is a special edition release of the film that puts the two chapters together in one volume. Check it out (I pasted the Blu-ray art since that is the direction that the majority of my video purchases have been going). Having already done two full blog postings about the release I will leave you with the link to examine the official Wiki for any additional details on it. If you’ve not ordered either chapter it’s probably best to just grab this one. I’ve put both the standard edition DVD and Blu-ray along with the trade paperback by Frank Miller. While I know that I have said this before, I will remind you again that if you do not own this story in your comic book library than it needs to be added immediately. 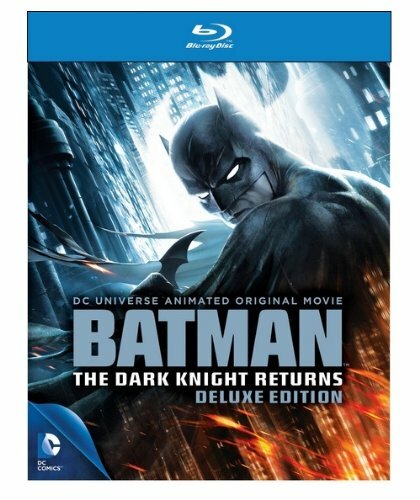 I’ll admit that I felt that the second chapter of “Batman: The Dark Knight Returns” would have come out a little sooner than four months later but here we are at the exciting second chapter and finale of the animated film that brings to life Frank Miller’s amazing tale of a not too far in the future Batman. 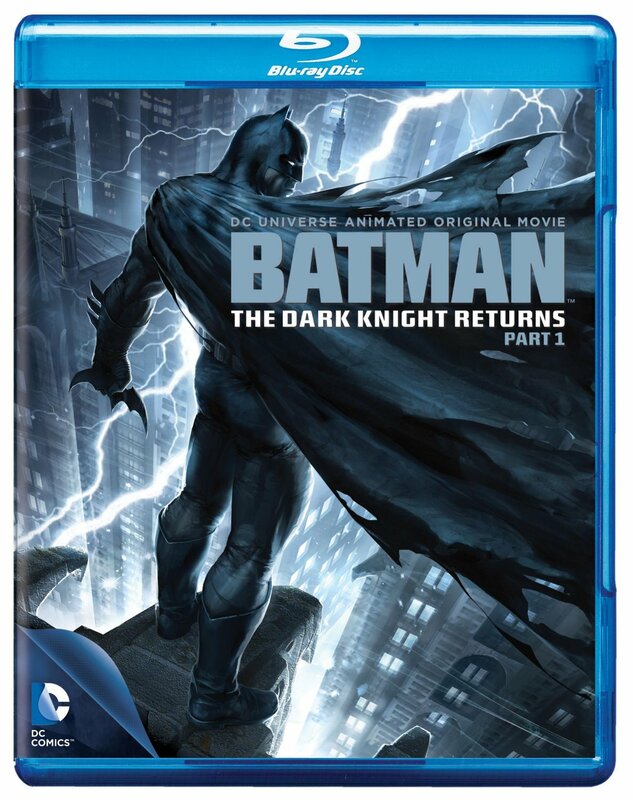 The film picks up where Part One ended and continues Batman’s struggle against the new faces of crime in his later years. If you read the original comic then you know he will go head to head against Superman and also run into The Green Arrow and Catwoman with this one. Here are the additional voice players that come into play with Part Two. Sadly I didn’t get to see the first part yet so I better catch up with those of you who have. You can order the film on standard edition DVD an Blu-ray disc. I also have embedded the classic Frank Miller mini-series that told this incredible story in its collected Trade Paperback form.